The timer was a GIF that counted down to zero. I thought it was interesting at first glance. 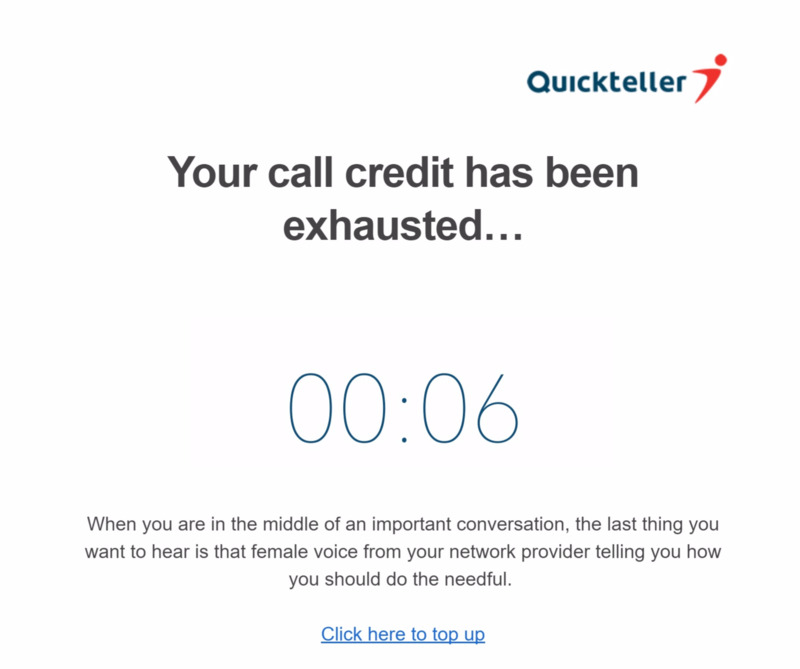 The subject line “your call credit has been exhausted” isn’t bad. Makes you want to click on it. And the copy was simple and straight to the point. Would have liked to see the CTA as a button instead of a text link, but it still works well. Ignore the unnecessarily busy background and the color blocking happening on this page. I don’t know any of these guys. And I certainly don’t use them. So why was I taken here. 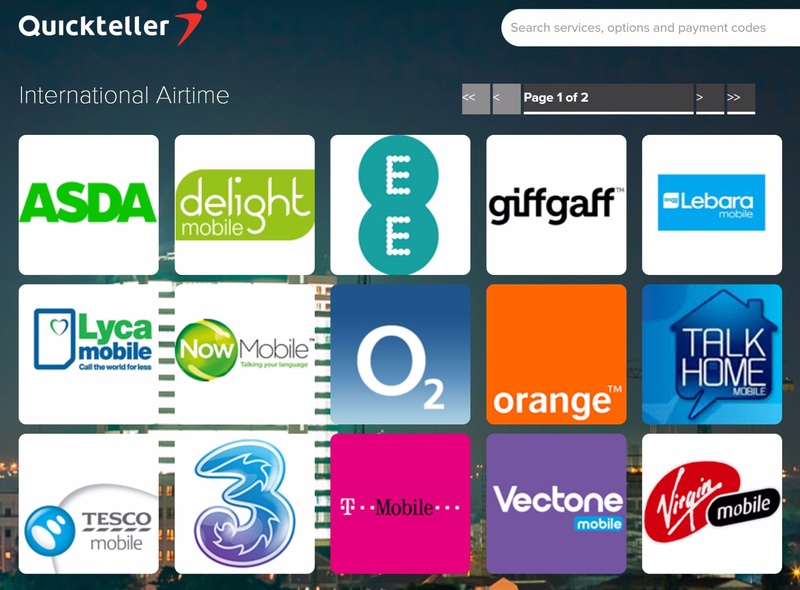 For a moment, I wondered if I had actually bought International Airtime at any point, but nope, never. It would have made sense if I had done that before. I clicked to the second page and still more unknown brands. My only question is, why international airtime? Imagine all the hundreds of thousands of people who might have seen this, clicked and got to this page…. Really looking for MTN and Glo and the rest. I think that like me, most users will simply close this page. One of the basic rules of marketing as a whole, don’t make me think. Be sure that whatever link your users click on, they find exactly what they’re looking for.